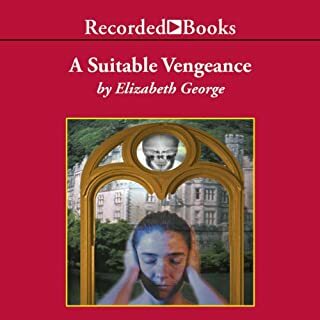 I listened to this after listening to one late in the series. It was SO different. All about thwarted romance -the mystery, not a bad one, got lost. You do get a lot of character back story if you are really curious about that. 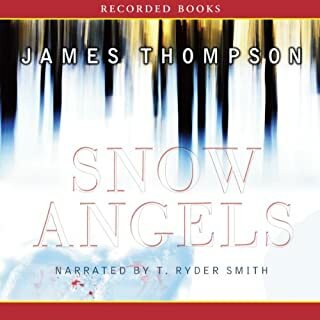 The first book of James Thompson’s Inspector Vaara series won immediate critical acclaim for a sterling tale set in the brutal cold and soul-testing isolation of kaamos, Finland’s two weeks of utter darkness. Even as the unrelenting winter conditions tighten their grip on the residents of the Lapland town, a lovely Somali movie star is found murdered, a racial slur cut into her chest. Stay away from this one if you aren't in to incredibly gory gross murders. REALLY glad I could switch to listen at double speed on this one. 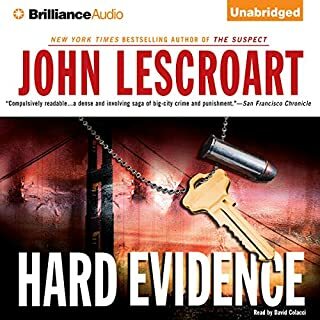 I thought a "police procedural" from Lapp land was interesting --but could have used more procedure and less horror. So right from the beginning there are the evil bloodthirsty muslims and the brave headstrong American patriot for whom somehow it is okay to blow up the village center for revenge. And throughout our hero defies death at every turn with amazing skill and luck. EVERYone is out to get this guy. I "suspend disbelief" with the best of them but this was pretty tough. But, I have to admit, I didn't quit reading, and every so often there was a fun puzzle or chase sequence. 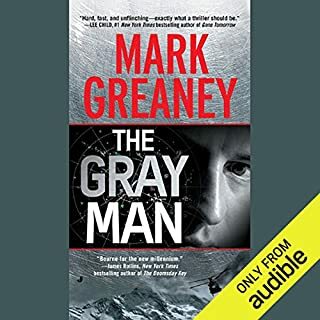 This is my 3rd in the series the 1st one I read was later, written more recently, and I liked it okay so started back at the beginning. I really don't like these early ones. Dismas is not a very sympathetic hero. (Very immature and reckless and not too smart.) --some icky sexual relationships. Also, I'm no wizard and I knew who'd "dunnit" almost from the beginning and could anticipate the plot turns. You know you are in trouble when you speed up the voice to try to get through faster. I like the reader though. Narrated by: Stephen Gullo Ph.D. 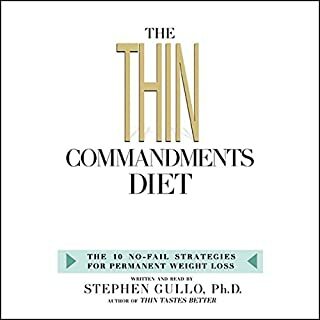 In The Thin Commandments Diet, Dr. Stephen Gullo lets you in on his unique weight-loss program that has a success rate that is many times higher than the national average. His two-part approach replaces willpower with strategy and deprivation dining with great-tasting gourmet fare. OK, but not as good as I had expected. This book, chapter after chapter addressed so accurately what a person with longstanding overeating problems experiences that it was very compelling. I believed his advice because he described the behaviors SO well. He provides very concrete strategies that are clearly effective --that doesn't mean he has easy answers. -And some of it I didn't want to hear (like there just may be some foods I have to cut out of my diet, period, or that keeping a food diary really is an effective tool for weight loss.) But when you feel like someone knows your problems and challenges so well --that kind of understanding, plus the MANY specific strategies for dealing with those challenges has made me really sit up and take notice. Well done! 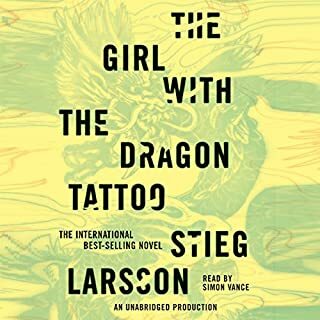 I liked this book more in the last half as several seemingly separate threads start to come together and once one plot line gets wrapped up there is lots more. 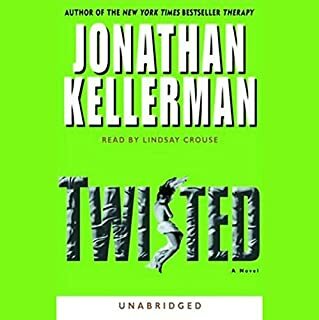 Some of it is really gruesome which is different when you are listening --viewing you can shut your eyes, reading you can skim --fast forwarding while listening is a little trickier; but its endurable --and like I say there are several stories within stories and the mysteries and characters are all interesting. Fun fast read. -just a quick caution --read his book "Open and Shut" first because its plot is revealed early on in First Degree. -Plus, if you like the author, you will want to read both. 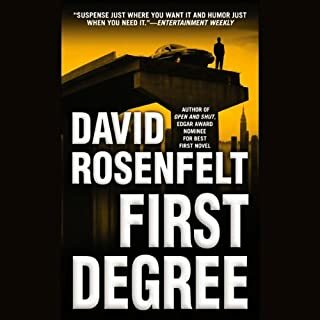 I love mystery thrillers --and with their emphasis on monstrous murderers they are often full of creepy characters and descriptions --but this book is just all creepy with no elegant plotline or suspenseful twists and turns --if you like to read about one damaged smarmy character after another with lots of pages about child abuse (psychological and physical) -you may go for this but I just finally had to stop about 3/4ths of the way through. Where God Was Born observes that at the birth moment of the biblical religions, all of the faiths took from one another, exchanged ideas, recognized their commonalities, and were open to peaceful coexistence. Offering a rare vision of God that can unite different faiths into a shared allegiance of hope, this is a brave, challenging, and profound work that addresses the most important issues of our time. 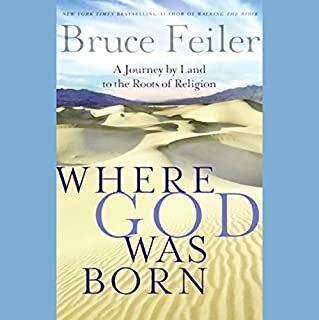 If you like ancient history for the lay audience, and are interested in how religion has shaped culture through the ages, you will definitely enjoy Feiler's book. I have read Feiler's Walking the Bible and Abraham, this is the first book of his I have listened to. He is a good reader. The book shares wonderful bits of history and definitely illuminates the bible. I do want to actually read the book now, though, because it is hard to absorb all the historical information he shares. 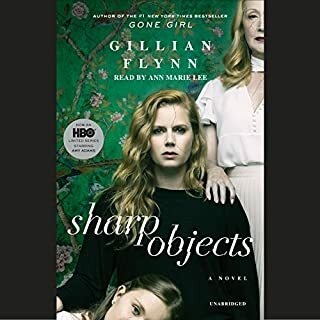 I love mysteries, and am not a very hard critic, But the reader of this novel brings this story down. She reads every line as if we are at a point of dramatic alarm -- this gets old by the end of the first 2 minutes and accentuates how much filler this story has.